Finding a Money Partner- How do you find a person that will help you succeed. Jack Butala: Welcome to the Jack Jill Show entertaining Real Estate Investment Talk. I’m Jack Butala. Jill DeWit: I am Jill DeWit broadcasting from sunny Southern California. Jack Butala: Today Jill and I talk about finding a money partner. It seems like a simple thing, and it can be simple, but people avoid it. I wonder why. It’s not real complicated. Jack Butala: That’s a [crosstalk 00:00:32]. Jill DeWit: That’s what the thought process should be. Jack Butala: It never stopped Bill Gates, it never stopped anybody. Jack Butala: Any iconic business person, without exception, did not have the money to start their own company. Jack Butala: They sought it from somewhere else. Jack Butala: For whatever reason, we don’t talk about it that much. Not us, but we don’t talk about who’s the money behind that whole thing? Jill DeWit: That’s funny, and they don’t realize that the people that have the money, want to spend the money, they’re looking for them. Jack Butala: I know. That’s truly what this show’s about, Jill. I’m glad you brought it up. Jack Butala: People who have money would love to hear from you if you have a good real estate deal. Jill DeWit: They want their money to be more money, huh. [crosstalk 00:01:08] thought. Jack Butala: They don’t really wanna find a real estate deal themselves. Jill DeWit: Right, they’d just rather sit back and let you invest their money and make a profit. Everybody wins. Jack Butala: Here’s a key point we’re gonna talk about today: trust. Before we get into that, let’s take a question posted by one of our members on the JackJill.com online community. It’s free. 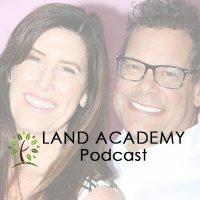 Jill DeWit: Okay, Brian asks, “I am drafting the terms for a purchase agreement for vacant land sale deals for a portion of the sale amount I will finance to a buyer. My question is regarding the potential buyer default. What time period can I list for a default period on the loan before I dissolve the agreement and the property reverts to me? These properties will be all vacant parcels at the time of sale. Jack Butala: This is a brilliant question. Jill DeWit: Yeah, that was a good idea, too. Jack Butala: It’s perfectly crafted, Brian, thank you. I really appreciate that. May I, Jill? Jack Butala: All states are different, first of all, so the answers to most of these questions can be found at the Department of Real Estate in the state you’re in, but I’ll tell you this, in general, if you’re just gonna do a vacant land contract, like we talk about all the time, and not do a trustee, a trust sale where you involve a title agent, it’s just you and the seller, in most cases, and not all cases, notably Colorado’s very different. When the person pays the loan off, that’s when they own the property, and that’s the way it is with your house. You own the property, technically, the second you sign the mortgage and that deal closes, but it’s lean-free. You’re not free to do anything and everything that you’d like to do with it, or can do with it, until the thing’s paid off, your house. Jill DeWit: Put a new roof on. Jack Butala: It’s the same with the vacant land, the second that they sign the thing, they should be able to move in and build a house and do whatever they want. Jack Butala: These are very good questions, and there’s a couple little, tiny questions in there that I’m gonna address here. What time period can I list for a default period before I dissolve the agreement and the property reverts to me? It’s whatever you stipulate in the agreement. The agreements that Jill and I use, where if they have defaulted for 31 days on a payment, we have the right to take the property back. In fact, the language is a lot more clear than that, it says, “On the 31st day that you are behind in your loan, we, technically, own the property.” It doesn’t require any action on our part, it’s automatic. Now, do we do that in reality? No, Jill calls them a million times and we work with them. There’s a lot of stuff that goes on, but that is, technically, what is possible, if you want to be a scrooge about it. I hope that answers the question. Jill, do you have anything to add? Jill DeWit: If Brian wants to go this path, can he legally, in addendum, I guess he can legally do anything he wants, and stipulate something like that, I guess the answers yes, but gosh, you might be shooting yourself in the foot. Jack Butala: Yeah. Would you rather take a property back that’s got a house on it that they built for you? Jack Butala: Or would you rather take a property back that you haven’t allowed them to use how they want to? Jill DeWit: Well, yeah, and I was just gonna add that that’s the ideal thing, is they live on it and love it, you want them to move in and make it their own because it’s gonna hurt, then, if they do miss some payments and all that, so yeah, I’m with you Jack, I’m sure that I would do something like this. You don’t wanna scare them away, you know what I mean? I don’t know. Here’s the reality, if the deal is structured properly, you’re making your money back pretty fast in the process. Usually within, sometimes, the down payment. Jack Butala: The down payment. Jill DeWit: I was gonna say, we have a lot of members, they make their investment back and the down payment. Jill DeWit: All these payments are gravy, so am I really worried about he’s a year in they stop paying, and oh, no, I don’t have that money? No, I already really made my money back, so I’m cool with that. It’s not a big deal. Jack Butala: We have members where that’s their business model. Jack Butala: The default rate is as high as 95% on all the deals that they do, so every piece of property they buy, they sell it, then they start collecting payments, and eventually it defaults and they resell it and they collect. You know, we don’t do that. Jack Butala: We have members that do that. Jack Butala: That’s the whole thing. They don’t set out to, it’s not malicious, it’s just what happens. Jill DeWit: Right. The nice thing is the states that you can do something like this, just have a nice purchase agreement, you don’t have to record anything, it’s just super easy. It’s seamless. Jill DeWit: It’s like you have a car posted on sale for Craigslist and then you turn the car off because it’s sold, and then you can go back in and redo the posting. It’s not that easy, but you just put it back up for sale. Jack Butala: I’ll tell you, in all cases, no matter what, you wanna make sure that you’re in good communication with the person who purchased the property, you don’t wanna upset them because all problems for you, as a land owner and a person who self-finances deals like this, they all start with the fact that you have a real angry customer. Jill DeWit: Call it that. Jack Butala: This worked out great for both of us, I hope. That’s who we are. Jill DeWit: If you’re a good person, too, Brian, and you really try to work with them like we do, if something really crazy went on in their life and they did bolt, they will go dark and they won’t come back. They are more afraid of you tracking them down, kind of thing. They are nervous about that. Jack Butala: The vast majority of the time, that’s what happens, Jill, you’re right. Jill DeWit: Right. You did your best to try to help them and save them and make it easy for them, I’ve done all of that, try to reach them, and at some point, you just have to go, “Okay, I guess this guys gone,” kind of thing. Yeah. It’s all good. Jack Butala: Today’s topic, finding a money partner, it’s way easier than you think. This is the meat of the show. I’ve seen so many people discontinue their thriving real estate, or never even start, because they think they have to use their own money. Jack Butala: That’s really what this is about. I’ve also seen people dramatically fail on their first deal because they went to Bank of America and got a 99% loan on an asset that they’re overpaying for that was in the MLS from a real estate agent brother-in-law. Jack Butala: What the heck are you talking about, Jack? You’re talking out of both sides of your mouth. In-between there, here’s a couple other types of loans you can get that Jill and I are utilizing right now in really, really a successful way for wholesaling houses. There’s way more money out there than cents. Finding money, and equity money I mean, is maybe one of easiest things you can do if you approach it correctly and professionally, you have a relatively good track record, well, Jack, how do you get a track record if you’re just starting out? I’ll explain it in a second. Finding a money partner can really catapult your career, and if you do it properly, really reduce the risk of you losing a lot of money. This is the meat of the show, by the way. What are your thoughts, Jill? You know what you said to me yesterday, and you’re right? Let’s cut to the chase on some of these deals. Jack Butala: Let’s cut to the chase. Jill DeWit: Right, we could do this slowly and methodically and organically and just keep going. I mean, seriously, I’m sure people have this conversation too, and do this an inch ahead, or we can just cut to the chase, we know what we’re doing, after we’ve tested a few deals, by the way, you do know your stuff, and then just go for it. Yeah. That was a conversation. Jack Butala: Here’s what she was talking about, Jill and I, we have started on the path of creating Land House Academy, which is the house version of Land Academy, where you send a ton of letters out, excuse me, you send purchase agreements out with an exact dollar amount in there, people sign them or they don’t, and you purchase them and resell them for more. These are all cash-basis stuff. None of it’s terms, it doesn’t involve a lender. Jill DeWit: It doesn’t involve a bank. Jack Butala: I, about a month ago, test it and sent out a ton of letters, and what I thought would happen happened. A ton of them got signed and sent back. Way, way more than we can afford to pay cash for. Jill DeWit: Yeah. Good point. Jack Butala: She just looked at me and said, “Can we just cut to the chase?” What she really means is can we take a more Wall Street approach to this? Jack Butala: Get a bunch of money and really just put some people in place. Jill DeWit: Do it big. Go big. Jack Butala: Steve Jobs’s thing. Jill DeWit: Yeah, let’s go big. Yeah. Jack Butala: If I can do it, I just proved the concept for every listener here, if you use the letters in the template and you get involved in House Academy and put the right people in the right place, Jill and I, we don’t withhold any information. This is not a sale’s pitch, but we don’t withhold anything, so finding a money partner when you have a group like ours or when you’re part of a group like ours where there’s lots of money and people involved, and there’s lots of people that act like we do as operators, it’s just a matter of asking. Jill DeWit: Exactly. I wrote down, I was thinking about finding a money partner, and one of them is brand new, I came up with three ways, there’s organically, there’s advertising for one, and then, like you covered, we have them in our back pocket in our community, because what if you’re not us? Jack Butala: Oh, so you knew what I was gonna say already. Jill DeWit: Did I? Oh. Oh. Jack Butala: Which is good. Jill DeWit: No, this is part of my take notes for the show, so I do that. Okay. Say you’re not us and you’re new, right, and you’re finding deals, you need the money to get these done, well, you can organically find them. I hate to say using friends and family, but you know what? It’s not crazy. Jack Butala: They pulled it off. Jill DeWit: They are all very happy and it all worked out great, so it doesn’t work for everybody, but I’m just saying, that was his little organic way of just reaching out to his people. Jack Butala: That’s a real private investor situation. Jill DeWit: Right. That was one. Jack Butala: That’s beyond my risk threshold, by the way, just for the record. Jack Butala: I’m not saying don’t do it, I’m just saying it worked for him, but would you go ask your mother for money? Jill DeWit: I know, people do. Jill DeWit: No. Hold on a moment. No, I would not. Yeah. I know. You know what? It depends on the person. Jill DeWit: It depends on the purpose, person. Now, another way that I’ve seen people doing, and sometimes doing well, is advertising. Even for us, right now, one way that our members do it is we have a closed community and then we have a deal board in the back, so it’s basically advertising for a money partner, but at least they’re advertising within the community that we all know what they’re doing and what everybody’s capable of, and we all know what everybody knows, and everything. Jack Butala: Let’s split it. I’ll do all the work, you front all the money, it’s not that much money in rural, vacant land case. Jack Butala: 10, 20, $30,000 maybe at most, sometimes less. Jill DeWit: You know what’s funny about that, too, Jack? I’m surprised I don’t see that in social media more often. Jack Butala: Well, there’s huge regulations because of that. Jack Butala: In a closed group. Here, let me clarify, that’s all regulated by the SCC. Jill DeWit: Social media stuff, you can’t put that out there? Jack Butala: There’s this whole notion of crowdfunding money and advertising to get, it’s very regulated. Jack Butala: They provide it in the most recent [regs 00:15:35] that I’ve read, if you’re part of a group and it’s established and you’re involved together, for a certain amount of time, I think they said 90 days, that then it becomes a very open market. Jill DeWit: Got it. Well, I mean, I’m not recommending to do crowd, I’m just saying, I have 10 deals, I just need somebody with some cash. I don’t think that stuffs crazy, but you can’t do that even on Facebook and stuff? I don’t know. Jack Butala: Yeah, I don’t think so. Jill DeWit: Okay. That would be why I don’t see it. Jack Butala: Again, I think that that probably goes on, but we don’t hear about it. Jill DeWit: You know what? None of that’s crazy, because here’s the reality, if someone came to me and said, “Jill, oh, my gosh, I just found these parcels in Colorado, I don’t have the money, these are fantastic.” I don’t care who they are, I’m gonna look at the deal, and then the deal’s gonna do it. I’m gonna make sure that they know how to close a deal and do it all correctly because I know what I’m doing, but I wouldn’t let it go to waste. Jack Butala: I wouldn’t, either. Jill DeWit: I don’t have to know them. Jack Butala: Me too, same thing. Jill DeWit: It’s about the deal, it’s about the deal, yeah. Jill DeWit: Quick run to the bank. Jack Butala: We need to run to the bank. Jack Butala: Then heck yes. Jill DeWit: Well, you know what? That brings up the thing that you said earlier in the show, which is trust. Jill DeWit: Do you wanna talk about that? Jill DeWit: That’s a nice thing about our community and our people, we have that. We have that. We’ve all proven it. That goes a long way. Like you said, the people that we’re dealing with now, we have that trust and really we put down on two pages, hey, if anything goes sideways, here’s what we’re all gonna do, we pretty much shake hands. It’s not even notarized, but it’s just we trust each other. Jill DeWit: I like, too, one of the things that we do is when you’re starting out, do one or two deals, or something, first. I’ve heard you tell this to people all the time, Jack, make sure you guys all get along. Make sure you guys all really think the right way. Do one or two before you decide you’re gonna do 10 or 50. Jill DeWit: Make sure it’s gonna work out and then go forward. You could do a one or two-page agreement while you’re testing all this with your new money partner, you don’t even have to go form an LLC or anything together, don’t do that yet, test it and then go forward. Jill DeWit: Trust is important. Jack Butala: With their private lender specifically, talk about if this whole thing goes sideways, what are we gonna do? Jill DeWit: Right. Who gets the asset? Jack Butala: Some people want the assets, some people wanna just work it out together, even if there isn’t money lost, so everybody’s different. Jack Butala: Really just listen. Listen to what they want. Jill DeWit: Exactly. This is the one thing that I always come back to, is just because you’re not in that situation doesn’t mean there’s not people out there. There’s so much money out there. I defy anyone to go to any REI meetup, any kind of real estate event, there’s always a money person standing in the back, there’s always a money person in that room, and they’re there for that reason. Jack Butala: People before you have solved the solution. Jack Butala: Very, very few people put their own money, or all of their own money, the way we do into real estate acquisitions. Jack Butala: If you’re doing the deals enough and you’re talented enough at finding good properties, you have a little bit of a track record, a good track record, even if you’re brand new, starts with being in a group like ours. Not, necessarily, our group, but just associating yourself consistently with other people who are successful. Jack Butala: You tell the kids all the time, get in the right group, don’t get in the wrong group in high school. Jill DeWit: Hang with the right crowd. Jack Butala: It’s the same thing with us. Jill DeWit: It brings you up. You know, you’re right. Jill DeWit: You know what? Well, it’s like I always think of sports in this situation, when you’re playing with a team that’s tougher than you, you always go up, you always play up. If you play with a team that’s worse than you, you get sloppy. Jill DeWit: You play down. Jack Butala: I always think of that in terms of marriage. Jack Butala: I mean, I married up. Jill DeWit: What’s that say about me? I did also, Jack. Silly. Jack Butala: We’re better together then we are apart. Jack Butala: Jill and I, we’ve agreed on that off the air. Jill DeWit: Yeah. Sometimes calmly. Jill DeWit: Sometimes at higher voices. Jack Butala: I’m happy, dammit! Jack Butala: Well, you’ve done it again, you’ve wasted another 20 minutes, or so, listening to the Jack Jill Show. Join us tomorrow where we discuss why the same exact house costs so much, the price is so different than, let’s say, Texas or California. Jill DeWit: We answer your questions, should you have one, on our online community, JackJill.com. Go there, it’s free. Jack Butala: Funny, money’s so easy. Jill DeWit: I know. People think that. Jack Butala: I gotta be honest, I don’t like doing it, though. Jill DeWit: I don’t. That’s a good point, why is it hard to ask? Jill DeWit: I love getting asked. I don’t care. Jack Butala: I love providing money. Jack Butala: Well, we have overcome it. Jill DeWit: Well, I know that. Jack Butala: The people who are funding House Academy are, maybe, the greatest people ever. Jill DeWit: Yeah. I wasn’t referring to you in general, I was referring to you as a listener. Jill DeWit: I know you’ve overcome it. I know you’ve overcome pretty much everything. Jack, is there anything that you’re afraid of? Jack Butala: You know what I’m concerned about recently? This is a good topic. Jack Butala: It’s actually appropriate that it’s on the after show, I question how I’m spending my time. Jack Butala: It’s not fear, but I haven’t done this in years and years. 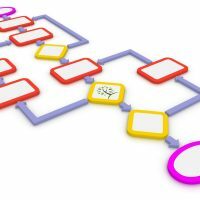 I’ve always gotten up and said, “You know, this is exactly what I should be working on,” but more recently, I’m wondering, is it better for me at this point to be involved in buying and selling real estate at all, because there’s so many people around us now that are so good at it, a lot of them are better at it, you’re one of them. Jack Butala: You’re better at buying and wholesaling houses out almost the next day than I am. Jack Butala: You’re less emotional about it. Jack Butala: You give direction better and people respond to you better, Jill, because you’re not as adamant. I’m just gonna call myself adamant, which is a nice way of saying kind of angry about it. Jill DeWit: Thank you. Adamant. Whatever. No, thank you. 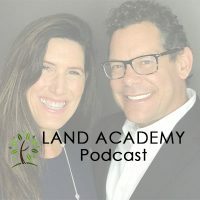 Jack Butala: My contribution here, from a Land Academy and a House Academy standpoint, and writing these eBooks and spreading the word, it seems to be way more efficient and proficient and easier to accomplish than actually doing real estate deals. I’m better at spreading the word than doing the deals. Jack Butala: It’s not because I’m bad at doing deals or because they’re hard to do, because they’re not, it’s just that I’ve done 16,000 of them and I’m a little tired of it. That’s not an exaggerated number. There’s a very long-winded, complicated answer to what you just asked me. Jill DeWit: Yeah. Did you even answer the question? The question is are you afraid of anything? Are you afraid of being burnt out? Jack Butala: I’m concerned about not using my time efficiently. Jill DeWit: Got it. Got it, afraid of wasting time. Jack Butala: Yeah. What are you concerned about? Jill DeWit: Okay. That’s very interesting. Jack Butala: It’s a hard question to answer, isn’t it? Jill DeWit: Yeah, you know why, now because you turned it around on me and I’m having trouble. Jill DeWit: You’re right. What am I afraid of? You know what? I’m afraid now of not going for it. I’m actually in the point right now, this is a very deep conversation. Jack Butala: Go for it. We’ve gone for it. Jill DeWit: We could go for it even bigger, babe. Seriously, I’m at the go big. I’m really like, “Why do 10 when we can do a hundred?” We know how to do it. Jack Butala: When we’re done with this show, I’ll share our budget, our 2018 budget with you. Jack Butala: At the time we’re recording, March 18, and in the next 11 months, we’re scheduled to generate a billion dollars of revenue. Jill DeWit: We are gonna do a hundred? Jack Butala: A hundred? No, it’s a lot more than that. Jill DeWit: Oh, okay, but you know what I mean. All right. Jack Butala: It just seems, because we’re at the end of the House Academy startup phase and now we’re really kicking it into gear, and you’re probably sitting there saying, “This is a lot of work for not a lot of outcome,” but the outcomes coming. Jack Butala: The boots on the ground program, that couldn’t of gone better. Jill DeWit: We figured a lot out. Jack Butala: We have so many people all over the country reaching out to us, and we’ve chosen a couple people to work with, and it just couldn’t be going better. We have all this money being thrown at us, and we’re sending mail out. Jack Butala: We’re right there. Jill DeWit: Okay, good. Thank you, Jack. Hey, share the fun by subscribing on iTunes, wherever you’re listening, and while you’re at it, please rate us there. We are Jack and Jill.